A trip to the wash doesn't have to take all day. Our wash equipment uses the latest advancements in equipment, technology, chemistry and materials to deliver a superior wash and shine. 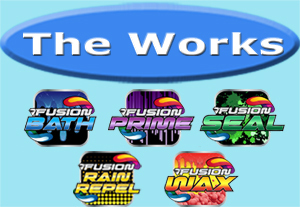 Our 6-Step Fusion Guard Process will bathe, condition, seal, and wax your vehicle to get you ready for the road. All washes come with FREE vacuums. 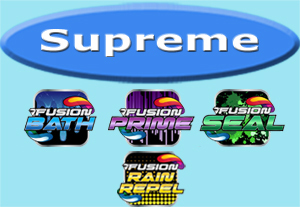 Add Fusion Rain Repel to improve all weather glass visibility applied evenly over the vehicle. All-road protection and shine. A carnauba-based foaming wax designed for depth and shine.